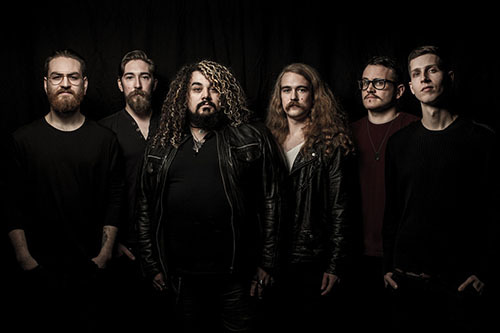 Mandriod Echostar (2010-present) is a Progressive Metal band from Guelph, Ontario, Canada. android Echostar formed in Guelph, Ontario, Canada in the summer of 2010 as a six piece progressive metal band. They formed with Adam Richards (bass), Sam Pattison (guitars) and Matt H-K. (drums). The next year they recruited guitarist/keyboardist James Krul as well as Stephen Richards (guitar) and Michael Ciccia (vocals). Their debut, self-titled EP arrived the next year utilizing professional engineering and production. Their follow-up, Citadels (2013), followed with the same membership and production team and combining the melody and technicality of progressive rock with the heavy, hard hitting groove of metal. Coral Throne followed in 2016 along with a Juno nomination (Canada's version of the Grammy's) in 2017.